Packaging Size: Minimum 1 Kg. NUTRIJA(TM) L-Taurine is a naturally occurring 100% USP grade and pharmaceutical quality amino sulfonic acid. We are offering to our clients, Amyl alcohol which is soluble in ethanol, aether, benzene easily and soluble in water slightly. 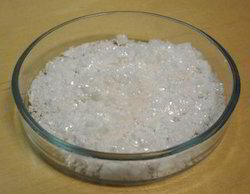 This industrial chemical is used as a chemical intermediate and solvent in pharmaceutical products and medicines. With a purity of min 98 %, this chemical is used as extraction agent and analyzing reagent in pharmacy industry. We are industrial chemicals exporter, provides chemical that are soluble in ethanol, aether, benzene easily and soluble in water slightly. Benzaldehyde (C6H5CHO) is a chemical compound consisting of a benzene ring with an aldehyde substituent.